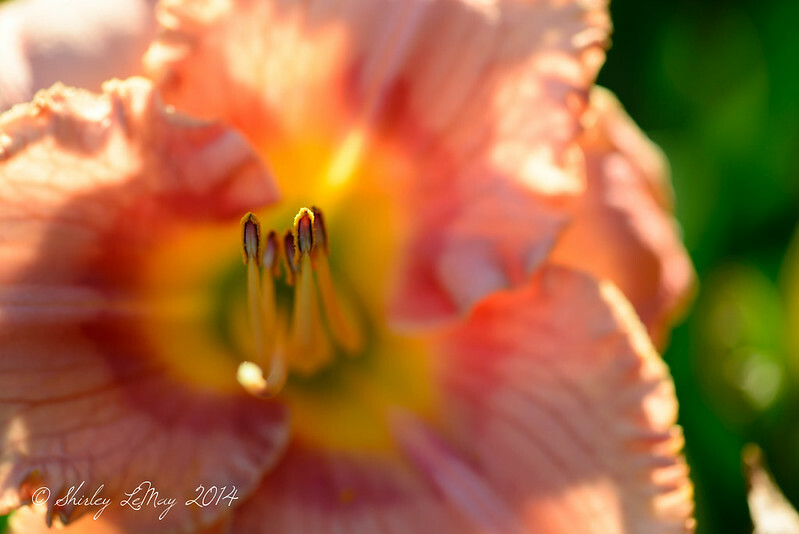 A quick post of some flowers around the house - these make it feel like summer! I hope your world laughs with flowers today - consider being a sweetie to someone and buy them flowers - for no reason at all. It will make their day and bring a smile to their face. 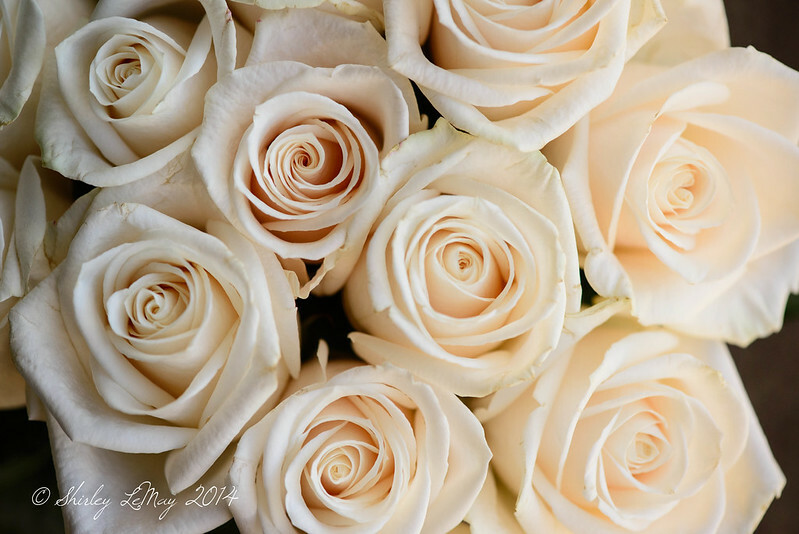 Absolutely love ivory roses - I find them so endearing and very photogenic. Every time we make a trip out from the house I am reminded that I need to get out and photograph some Queen Anne's Lace - love summer flowers. Beautiful flowers and I can almost smell the roses. I gave my friend a rose bush for her birthday last week and was tempted to buy the same one for myself. I need to capture some photos of the blooms on hers because it's a wonderful color. These florals are just beautiful. 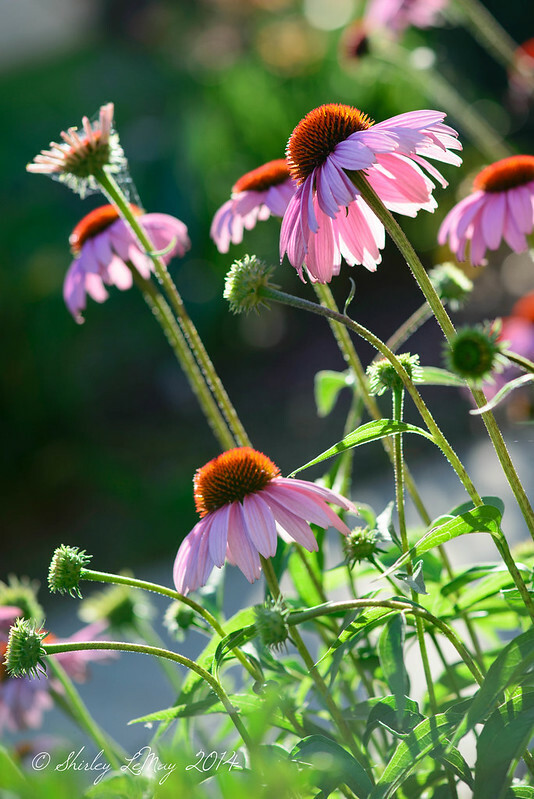 I love the peachy lighting in the first one and on the coneflowers. The colors in the first two photos really impressed me. Love them!